It takes several twirling stairs to get to a touchdown in room 655. Every morning, my sole motivator is none else but food. Get this, I come to school, walk up to class, put shoulder bag down, get attendance folder, run to worship, get to flag line-up, walk back to class before the morning marathon is pronounced complete. We do have an elevator that barely fits 15, given all the students have shoulder weights that almost weight a ton on each. Not that I can't squeeze in but walking up the stairs gives me daily sense of accomplishment even when on some days all things onward fail. Then I am again free after the third period and that's the time I pay a visit to the school's cafeteria. By then my tummy would growl a thousand times. Thinking about the overloaded elevator, the many steps I have to take and the climb with a full tummy that I have to endure after, hunts my weary mind yet showed no affect with my appetite. 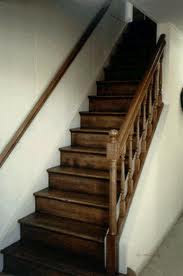 Then by lunch break, the whole staircase phobia strikes again wishing for a second chance, to which I gladly pursue! The only way to stop this as of now I reckon, is for me to have the most powerful appetite suppressant. Yes, every night was a torture since my first twirling stairs encounter. Yet all those uncomfortable nights didn't dwell for long. And I really have reasons to pray every night...Because he often whispers "take the lift!"